Check out the best costumes that we saw at PAX Prime this year in Seattle. Perhaps my favorite activity at gaming conventions nowadays is carrying around the trusty Panasonic Lumix camera on my right hip and whipping it out whenever I see a gamer dressed in an awesome costume. PAX Prime 2011 was no different and I saw all kinds of cosplay ranging from anime to videogames to the future girlfriend of John Finkel. I'll let you guess which girl I'm talking about. Without further ado, here are the best costumes that I personally saw at PAX this year. 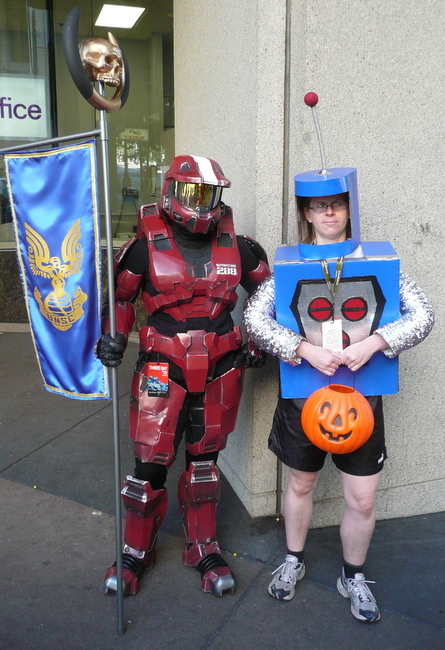 A lady Spartan and her Costume Quest pal.